Anissa Meksen has amassed a 2-0 record in GLORY and positioned herself as the front runner for a super bantamweight title opportunity. She gets her chance to make GLORY history and cement her legacy in the kickboxing history books when she faces Tiffany van Soest at GLORY 48 New York on December 1st! 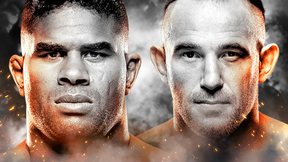 Tune in to the GLORY 48 SuperFight Series on UFC Fight Pass at 7:30pm ET/4:30pm PT!